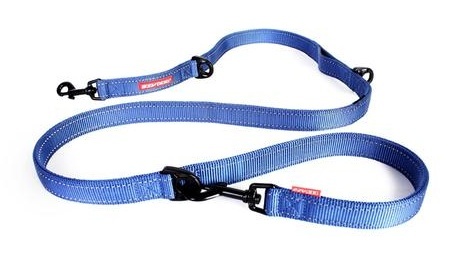 The Ezydog Vario 6 lead starts with a super soft blend of nylon doubled up for extra strength. 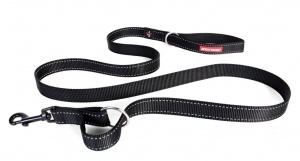 This quality dog lead can be used as a 5 foot lead, a 3 foot lead, a double dog lead, a hands free lead, as well as a short and long tether. 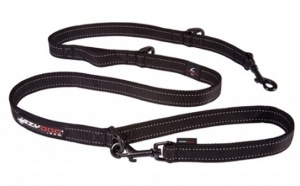 This lead is fantastic - easy to switch between a short, medium or long lead as required, and it makes an easy tether too. It's very strong and well made, and the reflective stitching is a nice touch.